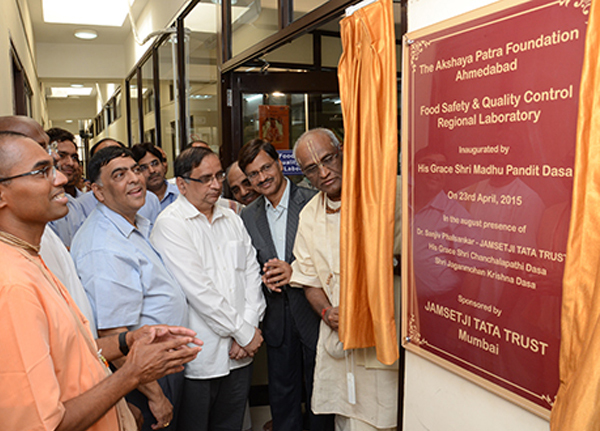 Akshaya Patra has opened its first Food Safety and Quality Control Lab in Ahmedabad. The lab has been fitted with state-of-the-art equipment, and high-precision testing instruments. Some of the technologies featuring in the lab are the table top refractometer which will be used to analyse total soluble solids, fat purity, adulteration of oil etc. Another interesting machine is the spectrophotometer which will be used to evaluate DNA/protein concentration, absorbance, transmittance etc. The lab was set up with the technical assistance of the Central Food Technological Research Institute, Mysuru. The lab was sponsored by the Jamsetji Tata Trust.